Heat up oil in a pot and fry the tofu cubes till brown. Drain and set aside. Fry the chicken cubes for 1 - 2 minutes. Drain and set aside. Heat up 1 tbsp oil in a pan. 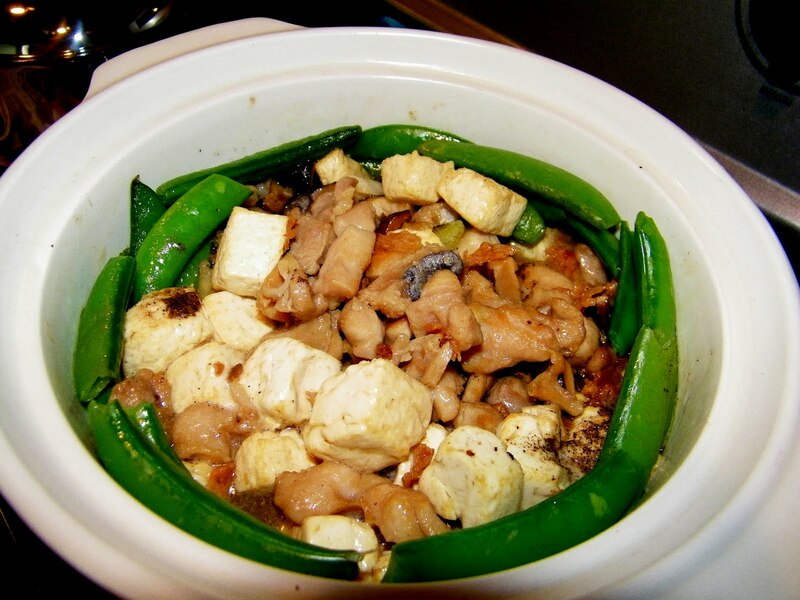 Stir fry the salted fish until fragrant. Add green onion, ginger and garlic and fry for 1 minute. Add sauce and mushrooms and stir fry for another minute. Add reserved water from mushrooms, chicken, tofu and sugar and stir to mix well. Heat up a claypot and transfer the whole mixture to the claypot. Cover and bring to a boil. Remove cover and stir in cornstarch solution to thicken the sauce. Add snap peas and cover. 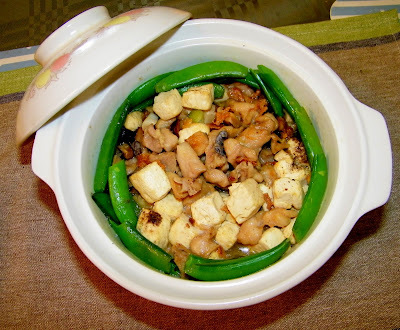 Drizzle shaoxing wine around the cover and let it cook for another 3-4 minutes. 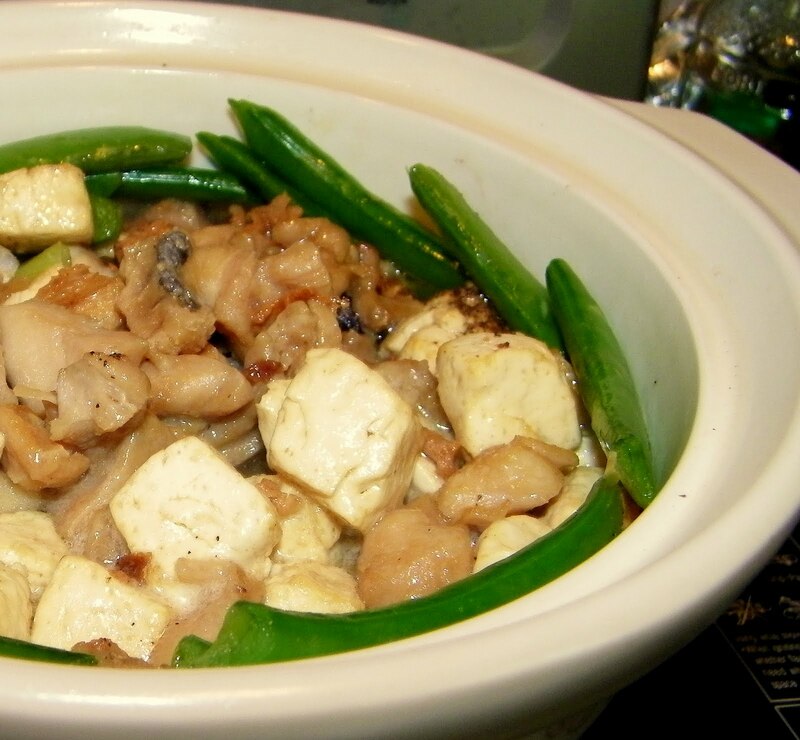 Remove cover and enjoy this hot pot with a bowl of rice!